I have to admit, Venezuela almost didn’t happen today. When I first began looking there wasn’t much I could go with in regards to comic books and very little easily found for comic strips are cartoons of any type. Language barrier again. I tried Vancouver, Canada, knowing they published comics there. Again, difficulty. Rather than waste any further time, I got creative with Venzuela in researching, and here we go. Hermann Mejia is an example of what one another artist I’ve featured, Whilce Portacio said, “enter contests”. Mejia did and was one of the winners. Born in Caracas in 1973, he entered a contest and ended up in New York and meeting painter, illustrator, and one of the contest judges George Pratt who took Mejia to the DC offices and instantly work was had on Mad magazine, published by DC. 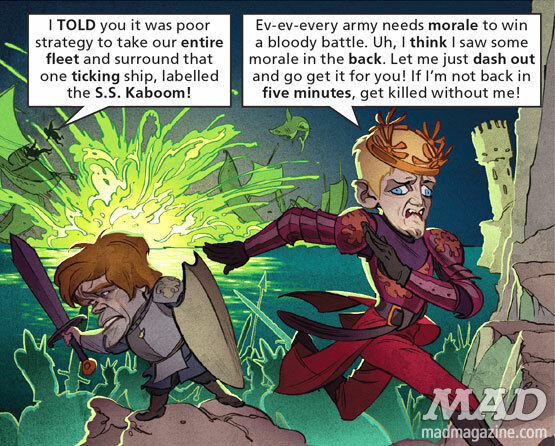 You can find examples of art on the internet outside of his comic work, but looking at the samples below of comics work, you can see how wide his talent ranges. But that was only the beginning. 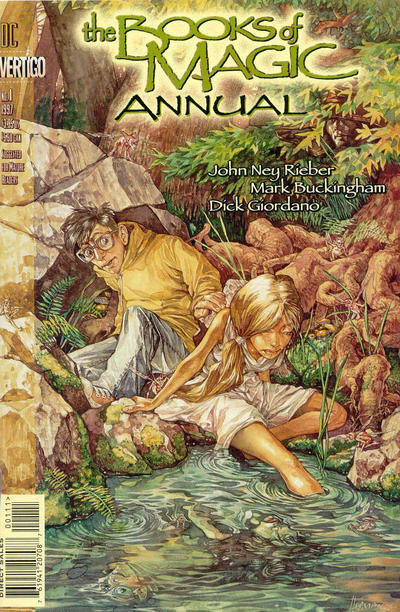 When you do the cover of the first Annual of Neil Gaiman’s created The Books of Magic, you’ve made it. But Mejia is still MAD. One thing I’ve discovered by researching Venezuela is the artistic nature of the creators. 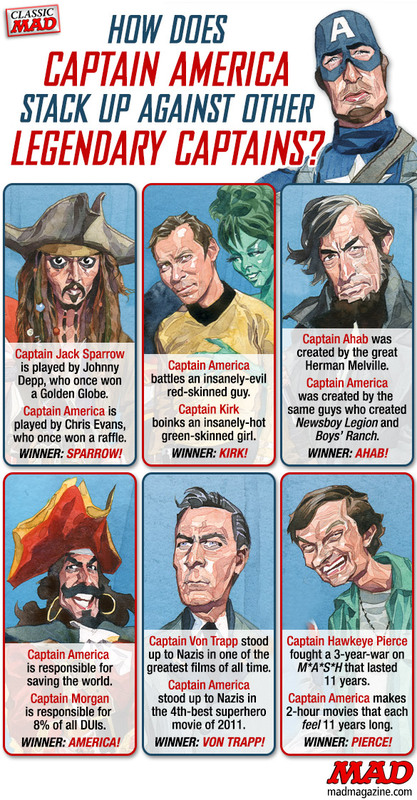 Their work is not limited to one field, such as cartooning/comics/illustrating. Jorge Blanco jumps out as perhaps an early influence on some. Yes, an comic strip artist but his actual art work has been on display not only in South America, as you would assume, but in the US and Japan. As for why he’s here? El Naufrago (The Castaway). It was a wordless strip about a man trapped on a deserted island. Let’s move on to Pedro León Zapata. “In 2000 there was a confrontation with the Venezuelan leader, who publicly challenged Zapata about these cartoons, asking whether he had been bribed to publish them. Zapata answered the President with another question: “Mr. Chávez, did you accept money to refer to my cartoons, thus inducing so many people to rush out and buy the newspaper?”-samsoniaway.org Quote and art below from site. 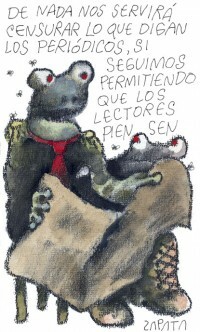 This is representing Chavez party members as toads, a term for informants in Venezuela. Chavez died in 2013 with his VP becoming president and who is now under attack to resign. Now for Rayma Suprani. Of them all, I respect this one the most. She’s the one I wish I could meet. She’s been at it for 20 years. She’s been mocked on a channel in Venezuela that refers to the cartoonists as racists and elitists. She complained to the government, as many others had before her for similar shows, but nothing was done. The Venezuelan government is against any cartoonist against it. Example, El Universal, a paper Suprani worked for for 19 years fired her after pressure for the below cartoon. The paper had been recently bought by a little known group and the anti-government leanings had softened/changed. hours after the cartoon came out, her immediate boss called and said he did not like it and she was fired. You would think the boss would have seen it before it was printed. The cartoon shows the heartbeat of a healthy health care system. 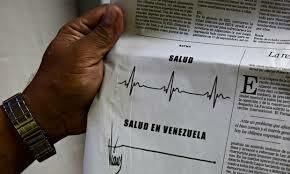 Then below it next to the late Hugo Chavez’s signature is a flat line heartbeat of the health care system he had put in place. Death threats followed and a need for Amnesty International support. She hasn’t slowed down. I have others to discuss, but I’ll leave it there. That’s the state of freedom of expression in Venezuela. I followed her on Twitter today. I may have to use Google Translate to understand but I do it. It’s worth it. People complain about the United States. People hate it here and say they hate living here and they hate everything about it. Go to Venezuela and say that. We have cartoonist here that say every kind of thing against every part of government and still have their jobs and no death threats. For those who hate it here so much, be thankful you have the freedom to do so.